Managing Conflict 2: How do I Redeem Conflict? Learn how to redeem conflict in a way that honors God and loves people. We must remember that God is still sovereign in our conflict. This does not happen by accident. It’s a part of God’s good and perfect will for our lives and those with whom we struggle. This 6-part series addresses the church leader’s need to prevent and manage conflict in a way that loves people and honors God. This brief video (2:49) will help you answer the question, “How do I redeem conflict?” and think through what the answers mean for your life. 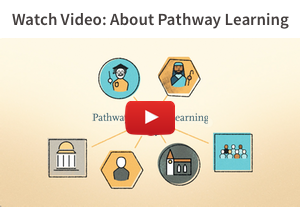 Take Pathway Learning’s New Course on Preventing and Managing Conflict Today!